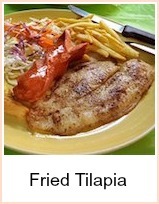 As we look further afield for our fish, tilapia fish recipes are more in demand. 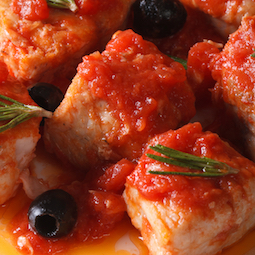 This recipe is suitable for any white fish fillet if you can't find tilapia at your fishmonger. Cod, haddock and other 'main stream' white fish are getting expensive and as we travel more extensively and experiment with different foods, our tastes are changing. We're more likely to try something out of the ordinary and in fact, once we've tasted these things we are even seeking them out. Consequently, fish we would never have even heard of is becoming available on the fish counter due to a combination of demand for the exotic and scarcity of the familiar. This is a sort of stew, the vegetables and sauce are cooked prior to the cubed fish being added for just a few minutes to cook through. 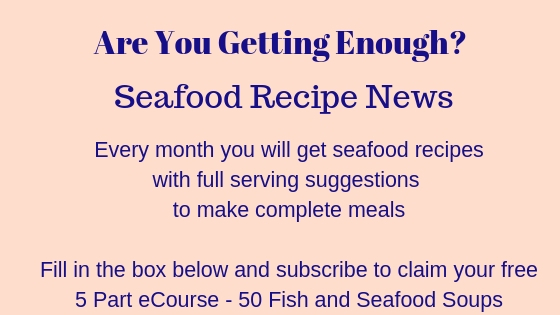 It's a very simple meal and you could easily prepare the stew base well in advance, heating up and adding the fish just before you're ready to serve. You could serve this served over cooked pasta or rice - alternatively, if you prefer vegetables, bake a selection of chopped onion, courgette, pepper, tomato and baby potatoes mixed with olive oil for about 40 minutes in a hot oven. Some hot crusty bread would be equally good to serve so that you can mop up all the juices. Melt the butter in a large frying pan. Add the onion and garlic and sweat until they're soft and golden. Add the courgettes, tomatoes, puree, wine/water and herbs and cook for about 15 minutes until the courgettes are tender. Add the tilapia and stir. Cook for about 7 minutes and then serve over cooked rice or pasta with a green salad. 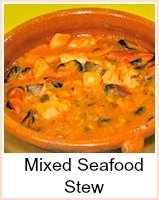 A superb Mediterranean style Tilapia Fish stew. 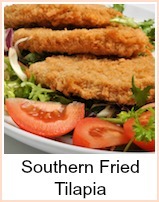 Serve with vegetables, over pasta or rice or simply with some fresh bread to mop up the sauce.